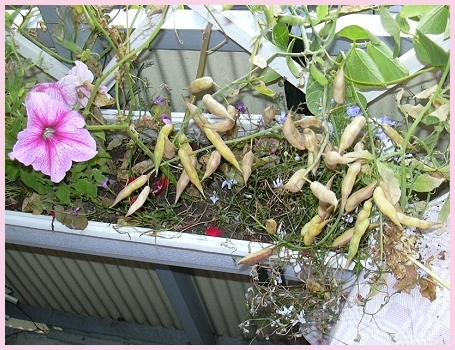 Look what it did to the poor Runner Beans! It's really time to take them down now, but since it's really cold, gray and rainy today (see photo above) I'm saving that for another day. I think I'll duct tape the pelargoniums instead. 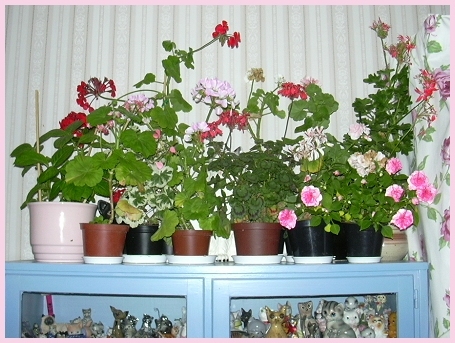 I moved them indoors earlier this week but I just put them temporary on top of a cupboard. 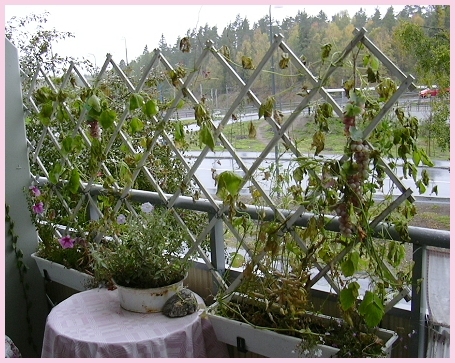 Now I've gotten the duct tape I needed so now I'll take better care of them, cut away dead flowers and leaves and then tape them to the kitchen window sill. I don't worry that much about what the big cats will do to them but the itty, bitty, tiny kitty monster has already knocked down a bunch of flowers from my window sills so duct tape it is. 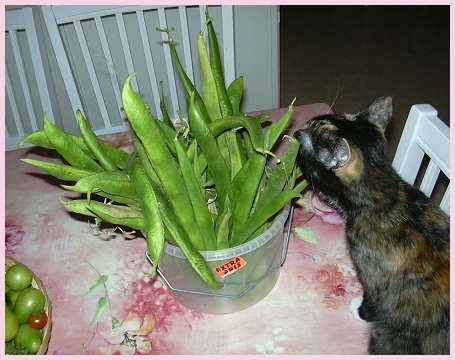 I've also harvested the tomatoes and runner beans this week. 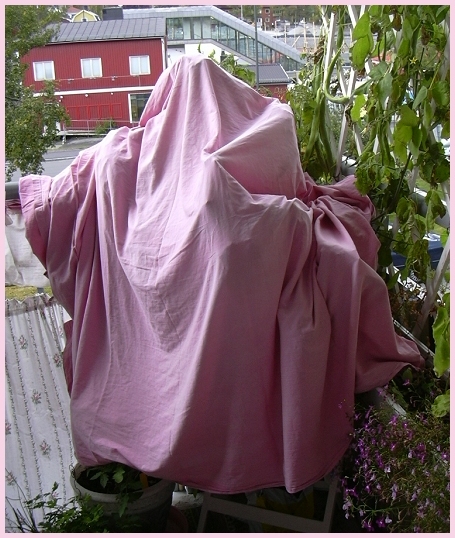 I doubt the tomatoes will ripen much more outdoors now and that saves me the work of having to tuck them in every night to keep them safe from frost. 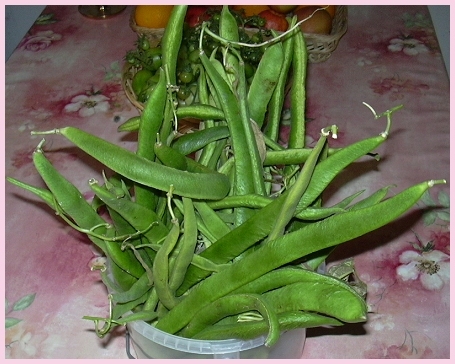 I got about 1.5kg tomatoes (and I've probably eaten at least 0.5kg before) and about 1kg beans (sheaths included, previous eaten beans not included though). Not bad for a balcony gardener I think! I'll see how many if the tomatoes that will ripen indoor and then make pickled tomatoes of the rest and I'll undress the beans as well... later. 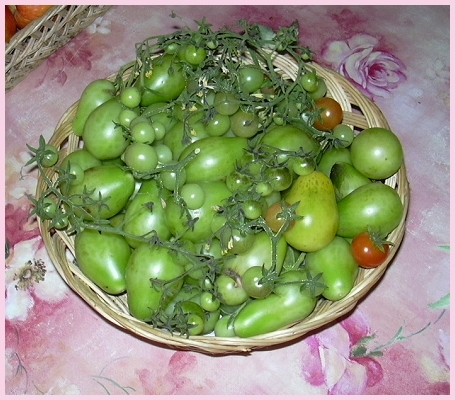 I also need to harvest the radish fruits to collect the seeds. So far I've just moved them so they're not hanging on the other side of the balcony anymore, in case they decide to fall. My balcony is an embarrassing mess right now though. 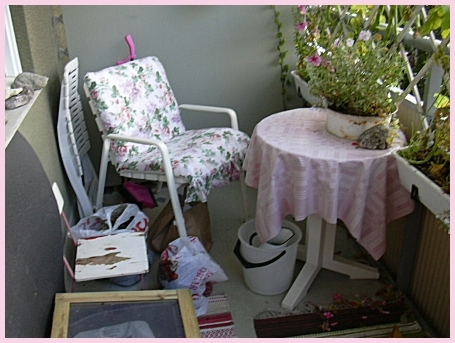 *sigh* I need to get rid of the dead plants, clean up the mess ad get some heather to make things pretty again. So much to do and so little energy to do it with. Times like this I really wish I was healthy. 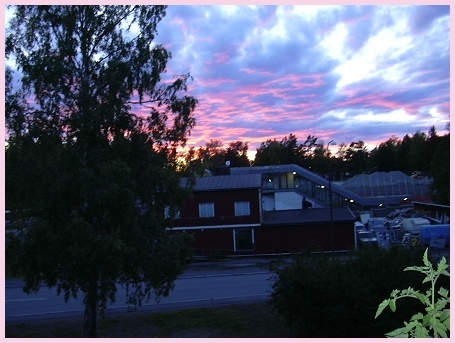 now as well, but today it's just dull, dark and gray.